PVofPE-PrekII - The Lincoln Greenback Dollar is a Simple Way to No New Government Debt. 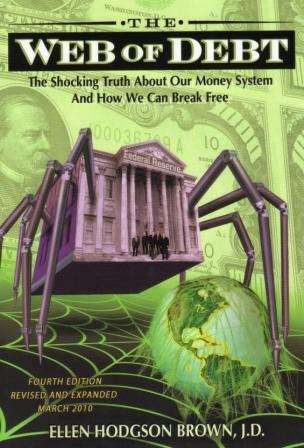 There are many books of recent publication that explain what the population should be doing with respect to New Money and our national debt. We relate to the lack of bridge money to do the public good to create the growth in economics, education, emotions and ethics via the PVofPE-Prek. These are at least three books that put FREE new money required into perspective with history. We are cheering you on to read and learn what the grassroots has no choice but to actuate. New money and new value are a no choice requirements to work out or around the powers that put us in slavery to interest paying debt for just doing the public good. Private bankers do not have a right to earn interest on public spending for the common good. We really need to get smart, hope this a start. Sovereign nations do not have to borrow their money into existence, yet the United States has been doing this since 1913 and even before that. The compounding interest on the debt and added current deficits are growing because of debt spending on the "common good". This cannot be sustained by recording only revenue, expense and debt. Something is missing. 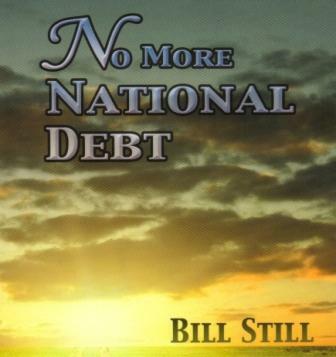 Bill Stills lays out a message of hope, supported by centuries of evidence right here in the USA. Nations do not need to borrow money. They can create it and meter the quantity of money put into the economy via the purchase of "concrete common good". The impact on inflation can be avoided if the "common good" has productive concrete societal value. Creating the nation's money is the most important power a sovereign country has. No More National Debt is the battle cry for a new human rights movement recognizing the value of complex publicly owned infrastructures, systems and subsystems of solid common good. Yes! 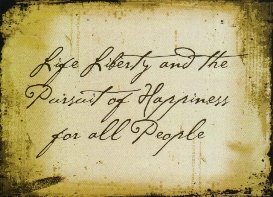 Personal economic freedom is hanging in the balance just as it has forever and ever, until God returns. But! We can do a better job with the money and the "common good" if we consider portions of it to be our equity. My Search for why there is no new money for the delivery of early reading skills to the most at risk age 3-6 children, in spite of the excellent returns expected, led me to the bankruptcy of our Money System and debt limits. This is a simple explaination of an deceitful constraint that becomes evident when growth slows. The goal and the questions need to be defined and asked as we deal with the constraint. 1. The payment for delivery of these reading skills is just like paying the soldiers in the civil war from the North's Sovereign Equity because of the productivity and asset value of the common good result from victory and freedom. Early literacy is freedom! 2. An excellent way to meter this equity money into the local economies is to pay for high quality readiness bridge spending in the K-12 system that will pay for itself. 3. The amount of money needed to increase to the maximum the expectation from K-12 public education of our at risk children is less than $30 billion per year. That can not be feared to be inflationary on a spending base of $500 billion per year. Besides the base spending is at least 20% to 30% unproductive (dropout and wasted spending per the Center for America's Progress). 4. How fast can we start with state banks that meter into the local economy the Federal Greenback Dollar from the US Treasury for this critical delivery. District's should be required to use the high quality pre-k methods to improve proficiency, savings and innovation in an accountable continuous improvement method. The book is all about (from our limited perspective) how there is no economic risk to this specific "we the people equity funding". Bankruptcy of Institutions generally will always result in debt holders becoming equity holders after all the assets are valued and recognized. But when you are sovereign and massive you short the lender (change the terms) not your ownership. The USA citizen can use the Lincoln Greenback to get out of interest expense debt without bankruptcy. It would show on the nation's financial ledger statement as Equity Lincoln Greenback Dollars in Circulation. The issue will create no inflation when used to pay off debt or invest in line with growth and innovation. For God's sake stop paying the interest when it is or should be to ourselves! The saved interest expense is the tip of the iceberg leading us to to invest in FTFRTFT, PVofPE-Prek and ERSD-RA with a very high expectation of new value created annually for the next 60 years. Is our nation owned by the citizens or the private bankers? Know that the Lincoln Greenback was used to win the Civil War for the citizens of the USA in spite of the bankers. Our sovereign self worth worked right around the bankers and got Lincoln killed before he could finish the job. This is very important, as owners we cannot be using Financial Statements that hold no asset values but recognize debt going back to 1913 and before. Just pay off the interest bearing debt with the Greenbacks that have value because we citizens have the full faith and confidence in ourselves. How much of our past deficit spending is actually spending of our equity on concrete common good? Do we have confidence in our concrete common good? Where is that value considered in our federal, state and county financial reporting systems. Crippled by personal debt, local and state governments facing revenue losses, and the federal government struggling to bail out segments of the economy, many Americans are afraid and uncertain of what the future will bring. Many worry if the United States can even recover from this debt and value creation crisis. Will your family financially and spiritually survive and thrive during these changing times. In this light where will we find the new money for new Early Reading Skills Delivery critical to our most at risk populations and our costs going forward? 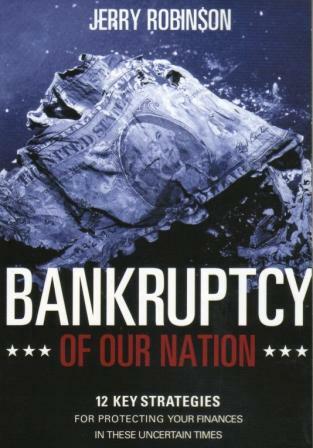 Bankruptcy of Our Nation gives you vital insight, historical and future perspective, revealing how America got into this mess, and how you can make informed decisions to weather this economic, education, emotion and ethics crisis. Don't rely on the government to secure your personal future - empower yourself with sound economic strategies, solutions, and Godly principles today. Jerry Robinson wants us to keep these events in the perspective of God's Word - The whole Bible. Understanding that man is not able to govern man drives us to individual reliance on God and a delivery of the Fruits of The Spirit to our neighbor. Another way to look at this work is to conclude there are many ways that have worked over time. This is controversial territory but it makes little sense to have to pay interest on public spending if it is not required. Lots of ifs there. Please go back to the top of the argument page read PVofPE-Prek again. Tell me we can put people in outer space but we can't insist that 100% of us (citizens) are ready to read before kindergarten as a critical creation and retention of expected value. Our powerful institutions needs to get their act together. Let us debate placing asset value on all of these complex publicly owned infrastructures, systems and subsystems of solid concrete common good and replace interest paying debt with Lincoln Greenbacks issued directly from the Treasury. Let us debate THE DEBT BEHIND THE PUBLIC ASSETS ON THE BOOKS AS A LIABILITY INSTEAD OF EQUITY. We are still paying interest on debt incurred 150 years ago with no structure to pay back the principal. This causes our inflation because it is valueless cash flow out. Let us recognize the 200 or so strategic capacities (assets) of public good with equity capital definition in the public sector. "SIMPLY" convert the debt behind these assets to equity with the use of the Lincoln Greenback Dollar. This dollar can be used tomorrow by our nation in payment of debts. It is legal tender and our debtors must accept it.